Move over cannabis oil, its time for something a bit sweeter. Cannabis honey is part of the new wave of infused weed edibles, and making dessert time that much more delicious. But where does weed honey come from, and what are the benefits? Do Bees Make Cannabis Honey from Marijuana Flowers? It makes a cute story, thinking about a stoned hive of bees collecting pollen from a weed crop. Unfortunately, cannabis honey doesn’t work that way. Marijuana is a wind-pollinated plant and doesn’t need any assistance from the birds nor the bees. Cannabis honey, in reality, is an infusion made by combining decarboxylated bud with honey, not from a swarm of high bees collecting potent pollen. With that said, some beekeepers seem to think otherwise. There is some suggestion from a few beekeepers in Europe that bees can be trained to collect resin, even if they don’t use it. Training bees may sound like an absurd concept, but a bees’ accurate scent of smell has been proven laboratory study. They’ve already trained bees to detect explosives, so some researchers believe it is possible to teach them to smell for weed as well. A beekeeper in France claims just that. He has trained his hive to seek our cannabis resin, bring it back to the hive, and inject it into the honey. The bees don’t have the same endocannabinoid system as humans, so don’t get high. But when people collect and consume this honey, the story is much different. 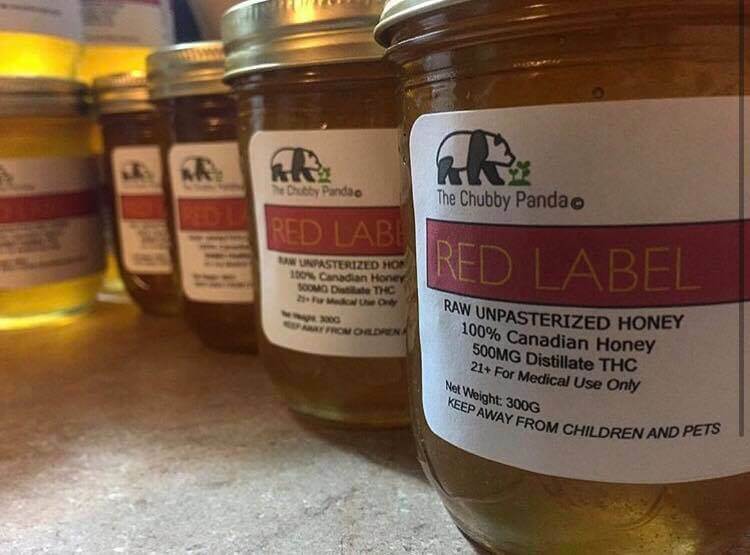 All natural, cannabis honey! While it remains to be seen if all-natural cannabis honey proves real, you can easily make it home. With a little patience, a handful of cannabis and a pot full of honey, infused honey is only a few minutes away. Once you’ve concocted your quick marijuana-infused pot full of honey, you can add a dash to pretty much anything. A spoonful in your morning coffee or afternoon tea is a great way to improve your day. Or, use it as a base for any number of desserts. Plus, if you If are fighting off a cold or flu, a straight spoonful before bed might be better than conventional cough suppressants. Part of the reason why everyone loves a little spoonful of weed honey is for the health benefits. It’s a sweet little hit of medicine, from the cannabis and from the honey itself. Honey is a powerful punch of wellness, straight from mother nature. It has so many natural protective benefits and has long been used in ancient medicinal practices. From smearing it over minor wounds to taking it for stomach ailments, we’ve long relied on the qualities to honey to soothe what ails us. Today, science has shown these ancient traditions are based on real results. 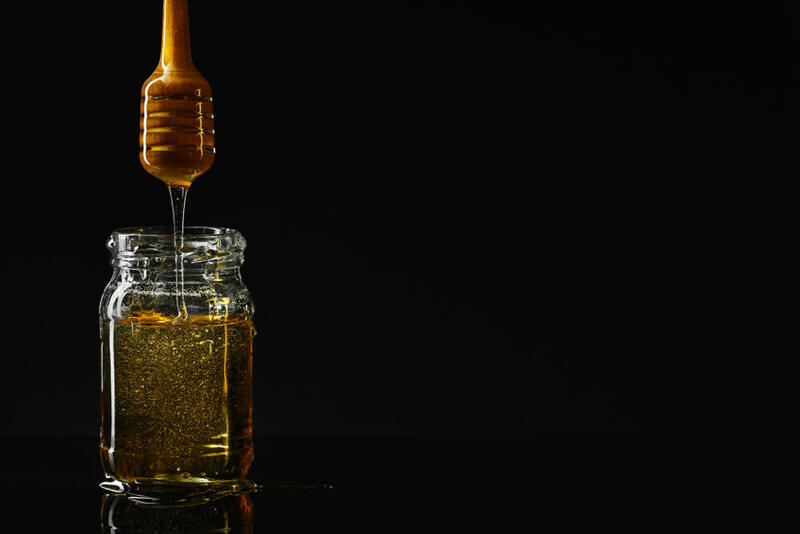 Cannabis honey is compounding the benefits of honey on top of those of cannabis. It makes dosing yourself for therapeutic purposes a much nicer experience than trying to down a pungent tincture. If you are looking for a way to work more weed into your life, try making yourself a pot full of cannabis honey to store in your cupboard.